A relatively new form of mastitis caused by Lactococcus bacteria is occurring more frequently, and because it is resistant to several types of commonly used antibiotics, it can be difficult to control and contain. First identified in the 1930s but reclassified in 1985, Lactococcus bacteria were only considered of importance as a starter culture in cheese and buttermilk production. 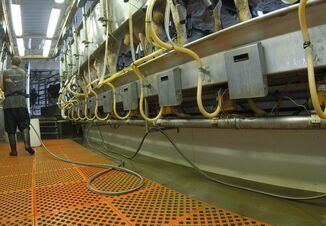 Recent outbreaks, however, elevate its importance as a mastitis pathogen, says Valorie Ryman, an Extension dairy specialist with the University of Georgia. “Lactococcus mastitis is a serious concern given its resistance to common mastitis therapies such as Spectramast LC, ToDay and even Pirsue,” she says. Because of the way Lactococcus is cultured, it is often difficult for lab technicians to differentiate it from environmental streps. Quality Milk Production Services at Cornell University took an in-depth look at the problem, and found that of 473 non-Strep agalactiae samples, 27% were actually Lactococcus bacteria, explains Ryman. Mammary infections caused by Lactococcus resemble infections caused by environmental streps and other common pathogens in that they result in clinical mastitis with high somatic cell counts. The Lactococcus infections, however, might not respond to antibiotic therapy. Some veterinarians have found that Lactococcus infections will respond to Amoxi-Mast therapy. 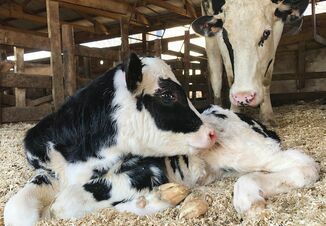 But before starting such treatment, Ryman urges farmers to work with their veterinarian, county agent or Extension dairy specialist to get a positive culture test and treatment plan in place first. If you suspect Lactococcus mastitis infections in your herd, you have several options. If you are culturing milk (either done by on outside lab or on-farm) and have a high number of environmental streps that do not respond to conventional antibiotic treatments, consider sending quarter milk samples to a University Diagnostic Lab for species confirmation. Well-equipped diagnostic labs have the capability to identify many different types of bacteria in milk samples using MALDI-TOF tests. Testing is relatively inexpensive and results often can be available in just a few days, says Ryman. If you are not culturing milk but your bulk tank analysis comes back positive for Lactococcus mastitis, target high somatic cell cows for further diagnostic tests. If you are not culturing bulk tank milk and cannot obtain a detailed bulk tank analysis from your milk processor, consider sending a bulk tank sample to a diagnostic lab for more detailed analysis. “Depending on the number of cows infected with Lactococcus, it may or may not be possible to detect it in a bulk tank sample,” says Ryman. In any case, you still might want to target high somatic cell count cows for further testing. Ryman also notes there is an on-farm, culture-based test called AccuMast from FERA Dianostics can differentiate lactococci from other environmental streps and strep-like bacteria. The test takes as little as 16 hours to run and costs $7 per sample. “The system utilizes growth media that results in different colored bacteria depending on genus and species,” she says. Note: Zoetis, in its lab analysis of Lactococcus, has not found any abnormal patterns of antibiotic resistance. 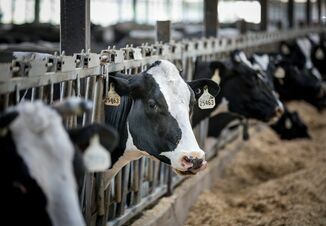 Treatment failure may be due to the use of short-term therapy rather than the five- to eight-day treatment regime often prescribed for other environmental forms of mastitis, says Gary Neubauer, a senior manager of technical services with Zoetis.